Kris Winemiller isn’t deterred by challenges. She charted her way through the first year of practice negotiating with Northwest tribes and trying her first federal case. She had won a death penalty acquittal by her third year of practice, then tackled Oregon’s first DNA prosecution. She challenged racial profiling and bias in her next federal trial, with a rare judicial award of attorney fees to accompany the winning jury verdict. 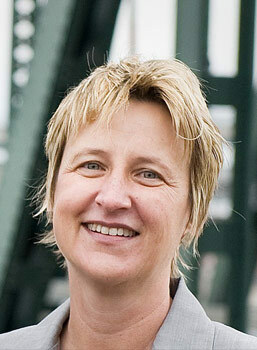 Chosen for high profile cases when significant public policy issues or political tensions are in play, she represented the lead defendant in the Portland Seven sedition case - in it, filing the first federal challenge to Patriot Act expansions of FISA and domestic surveillance. She recently litigated the targeted use of street cameras for surreptitious police monitoring and serves on a legislative workgroup redrafting Electronic Communications Privacy. Kristen speaks on national security issues and the constitutional limits of government. She also has an acute interest in natural resource allocation and has consulted internationally on environmental issues. Now in her third decade of practice, Kristen’s focus remains on complex litigation and efficient resolutions. An energetic trouble-shooter by nature, she enjoys unwinding complicated fact patterns to identify strategic responses, whether for high profile individuals or businesses under government scrutiny. She often represents doctors, lawyers, accountants and brokers facing threat of professional censure. In addition to responding to investigations of suspected corporate wrongdoing, regulatory violations, fraud and other economic crimes, she also can be called in to conduct internal investigations. Kristen is known as a perceptive listener and a persuasive writer. She understands intuitively how to translate unfamiliar perspectives to a wider audience. She has an outstanding reputation for professionalism with Oregon judges and is recognized as a tenacious litigator with the tremendous advantage of being trusted by her adversaries. The Martindale-Hubbell® Peer Review Ratings™ attest to a lawyer’s legal ability and professional ethics and are based on the candid feedback and opinions of other lawyers.